Did Coke not learn anything from the Pepsi “before you score” fiasco? A year ago, Pepsi launched an iPhone app promoting its AMP energy drink. The app, called “AMP Up Before You Score,” was supposed to help young guys pick up women. Pepsi were immediately criticized for being sexist and politically incorrect, and not long after launch the company backed down and apologized on Twitter. Maybe I’m just too old, or too sensitive, but there is a risk that Coca-Cola are about to fall in the same trap. The company has a new campaign site out promoting Coke Zero. On the site, which is clearly aimed at men, you can play a game in which you simultaneously date three scantily clad women and for example make them dance on the screen. There’s nothing terribly upsetting about the site, it’s just that it feels so old and tired. Had they come up with a game in which you should try to make half dressed men dance around, it would have been equally stupid, but at least to some extent something new. 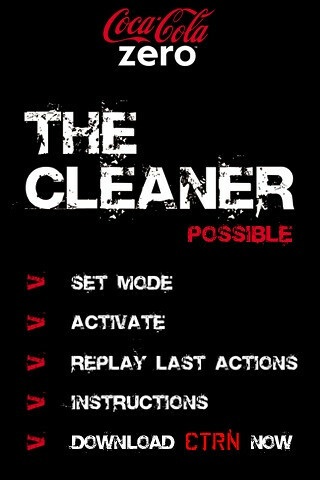 Then there is the iPhone application The Cleaner which is supposed to help you from getting in trouble in case your girlfriend, your boss or your friends would ever try to take a sneak peek into your cell phone. Once you open the app, you select who you want to stop snooping, your boss, girlfriend or friends. 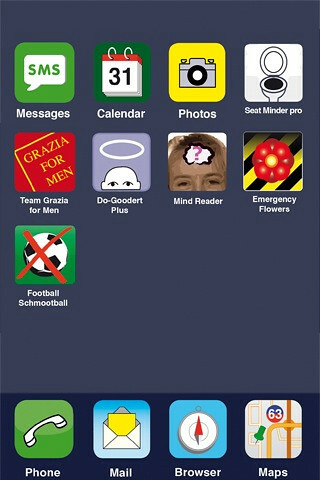 Then, when you leave your phone unattended, you launch the app and it displays a fake menu with pre-selected “apps”, which includes fake text messages, a fake agenda and fake photos, all with the purpose of potraying the user as the perfect boyfriend, friend or employee. Below are some examples of “girlfriend safe” text messages. 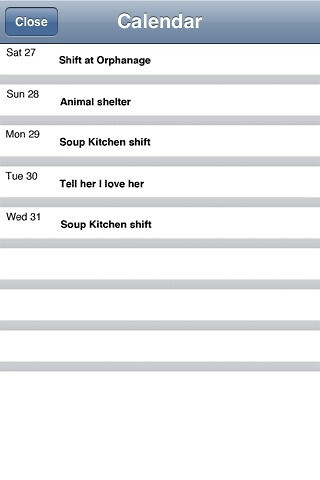 And a calendar filled with positive items. 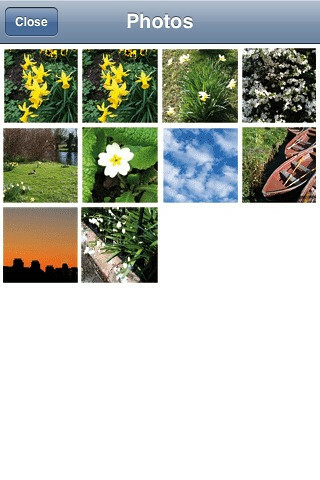 The photo library mainly includes photos of flowers, but you can’t open any of them. The idea is kind of fun but the execution is rather poor. My four-year old knows how to scroll photos on the iPhone and no-one would really buy that any of this is for real. I know, I know, it’s just for laughs, but somehow I expected a better finish in an app from one of the largest brands in the world. All in all, I’m not upset, I’m not offended, and I do realize you need to come up with cool and fun ideas to get attention from young consumers. But I think that this is poor branding by Coke Zero. 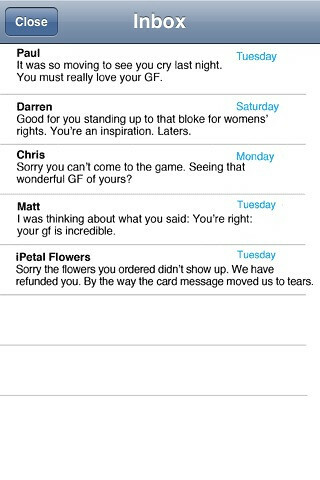 The creative idea could have been executed with a more modern view on gender roles than what this site does.